CHICAGO — Talk about role reversals. While starring for Fordham University, Janos Loebe ventured across the George Washington Bridge to watch and root and cheer for the Red Bulls. 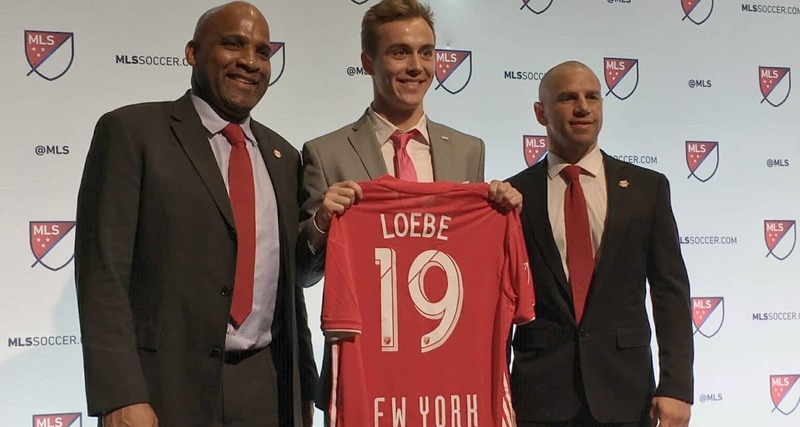 In the spring, he hopes he will see some action on the Red Bull Arena pitch and hear some cheers from the crowd after he was selected by the team as the 22nd overall pick (in the first round) of last week’s MLS SuperDraft. 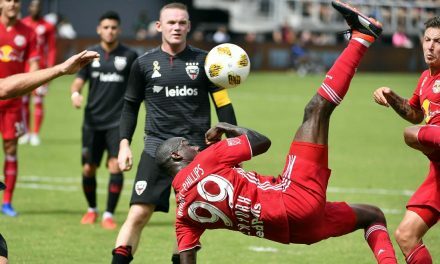 Loebe’s most recent match in Harrison, N.J. was as a spectator at the Red Bulls’ 3-0 victory over Columbus Crew SC in the second leg of the Eastern Conference semifinals. He didn’t sit in the South Ward, but close enough to enjoy the super-supporters’ enthusiasm. And perhaps Loebe, who was a winger with Fordham, could give some himself to Red Bulls fans. A native of Kierspe, Germany, Loebe did so for the Rams, especially in 2017 as Loebe had a role in almost half of the Rams’ 33 goals, scoring seven and setting up another nine. Moreover, he was a pillar during Fordham’s best post-season run ever as the Bronx college reached the NCAA Division I quarterfinals for the first time, losing at the University of North Carolina, 2-1. The 5-11, 165-lb. Janos teamed with his older brother, Jannik, a senior forward who tallied a team-high nine goals, to form a dangerous attacking duo. Janos was named the FrontRowSoccer.com men’s college player of the year for his overall performance. Red Bulls sporting director Denis Hamlett liked what he saw of Loebe at the MLS combine. Loebe certainly thought so. He felt his playing philosophy was similar to the Red Bulls’ strategy, so his transition from college to pro should not be so severe. A year older than Janos, Jannik returned to Germany last year and has a job while playing some soccer on the side. 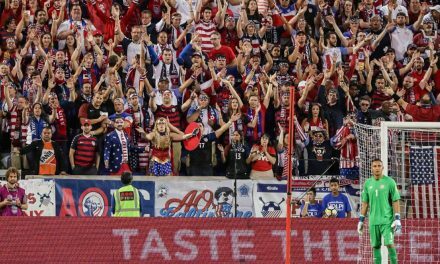 Front Row Soccer editor Michael Lewis has covered eight World Cups, seven Olympics and all 21 MLS Cups. He writes about New York City FC, New York Cosmos and the U.S. national team for Newsday and pens a soccer history column for the Guardian.com. Lewis, who has been honored by the Press Club of Long Island and National Soccer Coaches Association of America, is the former editor of BigAppleSoccer.com. He has written seven books about the beautiful game and has two more in the works, including one about the Rochester Lancers. Subscribe to Your Daily Front Row! Get daily headlines delivered to your mailbox every morning!